It’s easier for politicians to attract brickbats than bouquets, and opening up on Facebook is sure to encourage the disaffected to have their say. Independent Cornish councillor Andrew Wallis revealed recently that some residents are unhappy with the cost of Cornwall’s “superfast” broadband service. Supplied by BT, the service is now available through 52 exchanges, he posted. “Despite what some may see as positive news for the county, the first five comments the post received (all within half an hour) were negative, with comments aimed almost exclusively at the cost of the service and how unaffordable this is for all but the well-off,” he wrote in a separate post about social media. Cornwall is poor. Average annual earnings are 18% lower than the UK average (£20,982 vs £25,727 – 2009 figures). Almost 90% of businesses have fewer than 10 employees, and nearly a quarter have annual turnovers of under £50,000. Some 14.4% of workers are self-employed compared to the UK average of 9.1%. The council, with 22,500 staff, is by far the biggest employer. BT’s “up to” 100Mbps Infinity service is currently £35/month plus line rental from £10.75, or about 3% of average monthly pre-tax income. The price of the entry level service puts it comfortably inside the UN Broadband Commission’s target of less than 5% of monthly income, but is Cornwall a developing nation? There also appears to be some confusion at the council about what it is getting for the £132m contract it signed with BT. The council’s original statement says only 50% are expected to have access to a 100Mbps fibre to the premises (FTTP) service. So, was the Facebook reply simply an error or has something changed? Has BT suddenly found it possible to fibre-up 30% more premises for no extra money? Or has the council has found more money to chuck at BT? We await the council’s reply. Kroes - put your money where your mouth is. Here’s an Anglo-Saxon invitation to European Commission’s Digital Agenda champion Neelie Kroes – put your money where your mouth is. Kroes is clearly frustrated by the lack of progress towards Europe’s broadband targets – universal broadband access by 2013, and 30Mbps for all and 100Mbps for half of us by 2020. 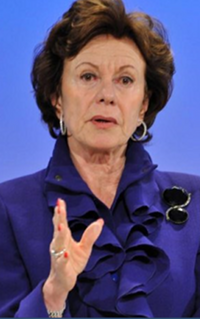 Speaking in Italy this week, she virtually implored Italy’s geeks to apply for up to €7bn she is putting into the EU’s proposed broadband slush fund, aka the Connecting Europe Facility. She hopes this money will unlock €50bn in private sector funding for next generation broadband. A couple of points here. Investment in telecoms is and always has been risky. It’s only a political idea that dial tone or internet access is a human right, and therefore deserving of taxpayer money. When that idea became popular, governments nationalised the telcos. When it became unpopular, because the state monopoly telcos were expensive, bureaucratic, unresponsive and self-serving, governments sold them off. Taxpayers seldom saw a penny of their money back directly. They are still saddled, by and large, with “incumbent telcos” whose attitudes and practices are unchanged. So, nationalisation and privatisation were not good investments from the taxpayers’ point of view. The incumbents have every reason to fear challenger telcos or altnets. That is why they fight tooth and nail to make life difficult or impossible, i.e. risky, for altnets, and so deter investment. As the German firm WiK Consult shows, only competition forces incumbents to behave better. Investment in telecoms should stay risky. It keeps people (funders, suppliers and network operators) on their toes, makes them come up with new ideas, and compete for business. It’s Darwinian, but it works. Feather-bedding them with free or cheap money makes no sense. So here’s the invitation to Kroes: there’s a brand new network company called B4RN that’s busy putting in a brand new fibre network that will provide rural subscribers with 1Gbps symmetric broadband for £30 a month. I don’t know of a better customer proposition in Europe or the US. Details of the project, which is a highly tax-efficient investment, are on the web. Of course Kroes should do her own due diligence investigation, and the usual caveats about investments apply. If Kroes finds B4RN too dodgy to risk a few euros, what chance do altnets have of tapping her fund? And yes, I do have shares in B4RN. Two usually reliable sources have said that the decision mentioned below is unlikely to relate to BDUK’s application for blanket approval for exemption from scrutiny under EU state aid rules. One suggestion is that it relates to the UK’s postal service. This seems possible, given the information revealed in the linked document. BDUK and DG Competition, which rules on the application, have not replied to requests for details. Given that some high profile political careers depend on delivering “superfast” broadband to all in the next three years, it is likely that there is some pressure to bend the rules. Getting blanket approval means up to 45 procurement contracts, most of which are expected to go to BT, will not receive independent scrutiny. It is also needed because few, if any, proposals so far, are believed to meet EU rules on state aid. Approval is crucial to freeing up BDUK’s £530m if the UK is get get close to culture secretary Jeremy Hunt’s goal of the “best broadband in Europe by 2015”. Approval would also scupper plans by some small independent network operators (altnets) to sue local councils if they give money to BT (or another listed supplier) and BT then targets areas the altnets have said they will serve. Their argument is that councils’ action would breach state aid rules. These prohibit using taxpayers’ money in areas where there is a competitive market. Some altnets offer wireless broadband access, but there is no official record of their coverage. Local authorities are meant to consult on where basic coverage ends and so-called Next Generation Access starts. Some have been reluctant to do so. As a result, councils could face objections as soon as they issue contracts. This would delay network builds. In addition, it would be extremely difficult to audit precisely where the money was spent, given that many “white” spots are surrounded by so-called black areas, i.e. where there is a competitive market. BDUK is wrestling with these issues, but whatever goodwill it had in the industry has ebbed away. It has also failed to get more than BT and Fujitsu Telecom (which wants all BDUK’s money in return for a £2bn investment) to bid for work. BT is a day late and a few dollars short of B4RN, the feisty community-owned network operator, when it comes to fibre. A day or two after B4RN started digging in its 1000Mbps symmetrical fibre, BT popped up offering Lancastrians “up to 80Mbps” downloads and “up to 20Mbps” uploads, and trousering £32.5m in public money in the process. £10.8m will come from BDUK, the government’s broadband withdrawals-only cash machine, £16.5m from the European Regional Development Fund (ERDF) and £5.2m from local councils (£4.7m from Lancashire County Council, £300,000 from Blackburn with Darwen Council and £230,000 from Blackpool Council). According to the BT press release, this, together with £30m from BT, will bring its total fibre investment in Lancashire to £130m. So far there is little to show for the money. The release quotes Ofcom figures saying Lancastrians’ average download speed is 7Mbps, basically normal for UK. Worse, BT may be overstating the money. Notes to the release say BT is waiting for confirmation of the ERDP’s £16.5m. Even the £130m includes BT’s estimate of what it will cost to run fibre to the cabinets in the “commercially viable” parts of Lancashire. The release gives no clue about BT’s contingency plan if the tight-fisted ERDP doesn’t come through, or its commercial roll-out hits snags like blocked ducts. The release goes on to say the money will be “extending access to fibre broadband to 97 per cent of premises by the end of 2014”. Most people who read that will think it means BT will run fibre into homes and offices. They will be wrong. To be fair, the release says later if people ask for it, they can have fibre to their homes running at “up to 300Mbps”. No prices are given, nor availability dates. B4RN, on the other hand, is offering more than three times BT’s top speed for £30 a month from mid-summer, if the dig goes well. If that’s the best BT can do, I may increase my shareholding in B4RN. The European Commission may have decided not to object to BDUK’s plans to give £530m of taxpayers’ money to BT and Fujitsu Telecom under the BDUK rural broadband procurement framework. A notice on the EC’s Competition website indicates a decision taken on 28 March “not to raise objections” to “compensation for net costs incurred to keep a non-commercially viable network for the period 2012-15 and the continuation of a working capital facility”. It adds the public version of the decision will be made available “as soon as it has been cleansed of any confidential information”. Br0kenTeleph0n3 reported earlier that only BT and Fujitsu remain from the original nine potential suppliers since Cable & Wireless Worldwide pulled out of the running. BDUK applied in May last year for blanket clearance for BDUK’s contribution to UK local authorities’ broadband procurement contracts under state aid rules. If the competition directorate had denied the request, it would have had to scrutinise at least 45 contracts. The department of culture, media and sports, BDUK’s parent, published its grants to county authorities in August 2011. The original intention was to use the money to boost broadband access in the “final third” of the country. Somehow the goal has morphed into “the best broadband in Europe by 2015”. This suggests a wider spending remit than current broadband not spots. If this is indeed the commission’s decision, only one person recently hired by BDUK will be directly responsible for overseeing how councils spend their grants. That person also has to manage BDUK’s internal budget of £16.5m. 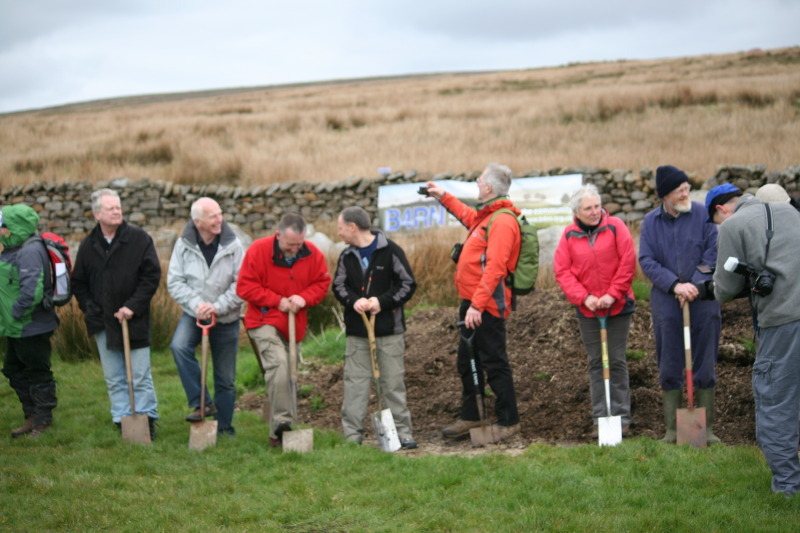 Yesterday the dig began for the first phase of B4RN, the UK’s first community owned fibre to the home (FTTH) network. The network promises to bring 1Gbps symmetric internet access to rural Lancashire communities that had little or no hope of ever receiving even a 2Mbps service from BT, the area’s only other broadband provider. B4RN came about after a series of interventions that helped BT to keep its monopoly in the area. Firstly Chris Conder, who ran a community wireless broadband network Wray, faced closure after BT and the Lancashire County Council set up a joint venture that took over her backhaul supplier, the Cumbria and Lancashire Education Online (Cleo) network. Later Barry Forde, who designed the Cleo network, was denied a £750,000 ERDP grant via the Lancaster City Council to build a fibre link between the villages of Quernmore and Over Wyresdale. The county council later issued a £40m tender for a a firm to supply a county-wide broadband network under the BDUK procurement framework standards. This meant residents in these upland villages were unlikely to get even 2Mbps service, unless via satellite. BT’s efforts to make life difficult for competitors in Lancashire appear to have continued. There is an ongoing Twitter stream designed to instill fear, uncertainty and doubt about B4RN’s viability (and other initiatives) by Bill Broadband (@watchingtheflow). This is believed to be the Twitter identity of Bill Murphy, the man in charge of BT’s next generation network roll-out. Lancashire County Council said in January BT has won a £32m tender to supply broadband to the “Final Third” of Lancashire homes and businesses. But recent tweets by Bill suggested the LCC cabinet had issued a press release that indicated the deadline for BT’s roll-out. I could not find such a release, nor evidence that the LCC cabinet had met in March to discuss the topic or the release. I am a B4RN shareholder. 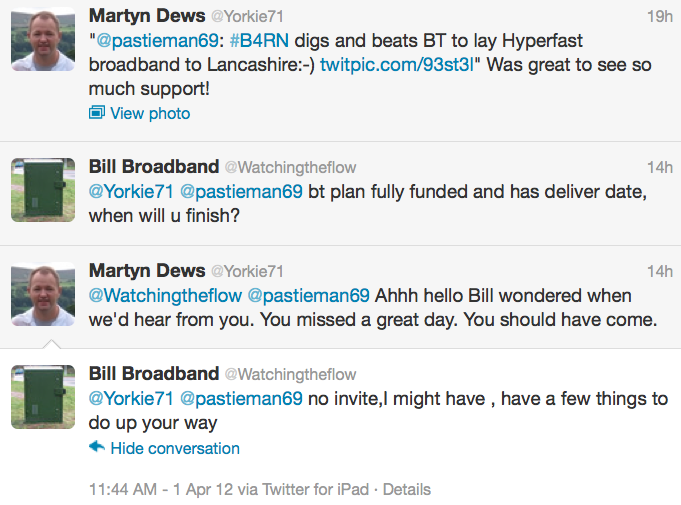 Question is: is Bill Broadband a BT shareholder, or have some other vested interest in killing competition to BT?